By helping children to explore, get acquainted, and interact with the neighborhood (physical environment, natural elements, and people), adults can facilitate the process of turning the neighborhood into a childhood habitat. Discovering the embedded history of an old neighborhood with children means recovering the old culture and projecting it into the future. 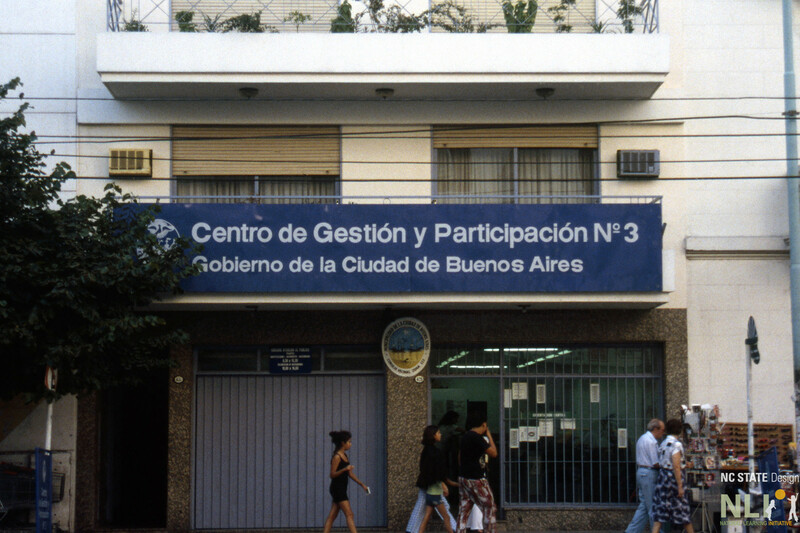 The “Growing Up In Cities” 1997 project took place in Buenos Aires, Argentina. 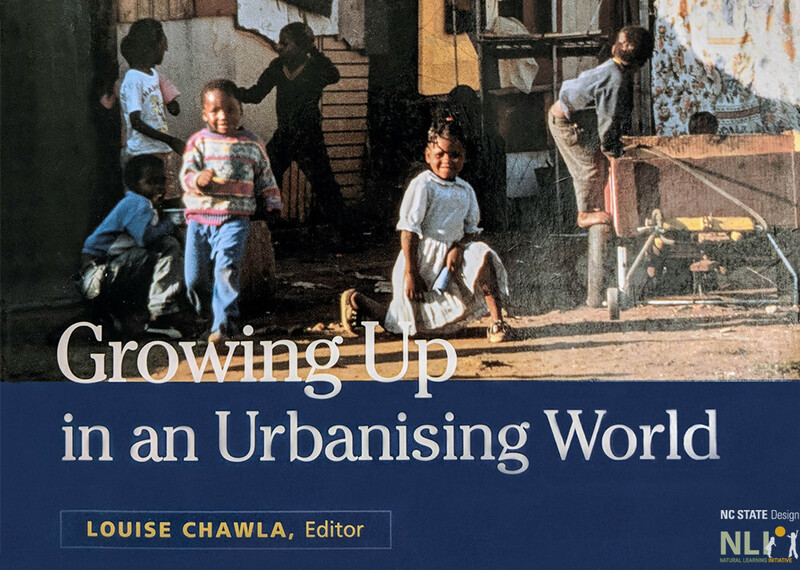 New neighborhood developments are an opportunity in modern society to establish the culture of neighborhood as childhood habitats from the very beginning. The challenge is to gain political acceptance of the fact that children have a right to participate and to recognize their ability to contribute to local culture. 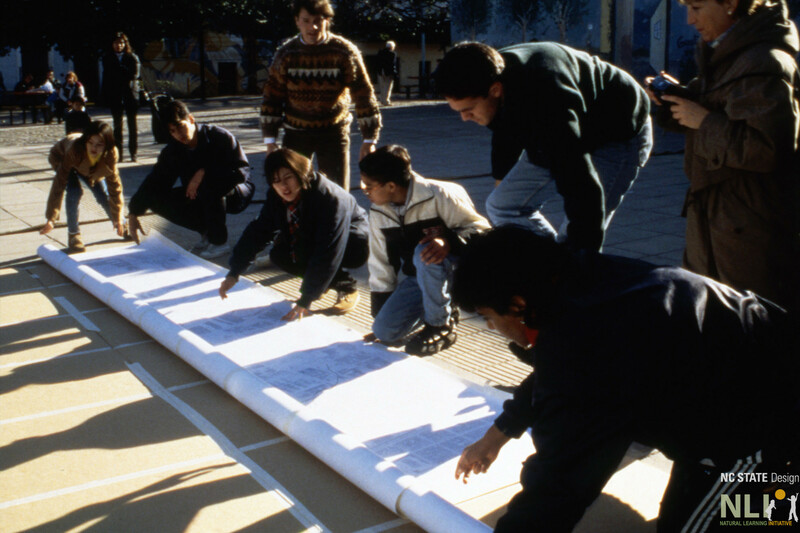 An exploration of these ideas was implemented in 1997 through a series of workshops as part of the Growing Up In Cities (GUIC) Project, Buenos Aires, Argentina, in collaboration with Movíl Verde. Robin Moore & Nilda Cosco, co-directors. 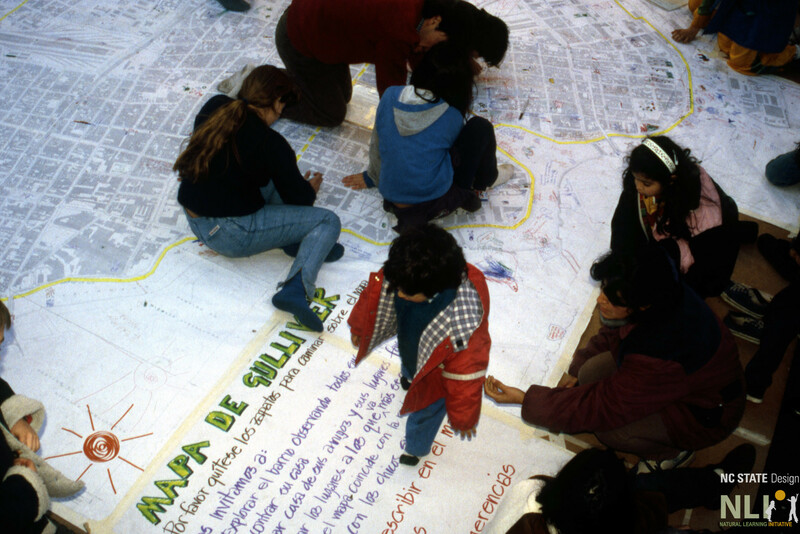 Neighborhood residents record and share their observations on a giant map of their neighborhood. 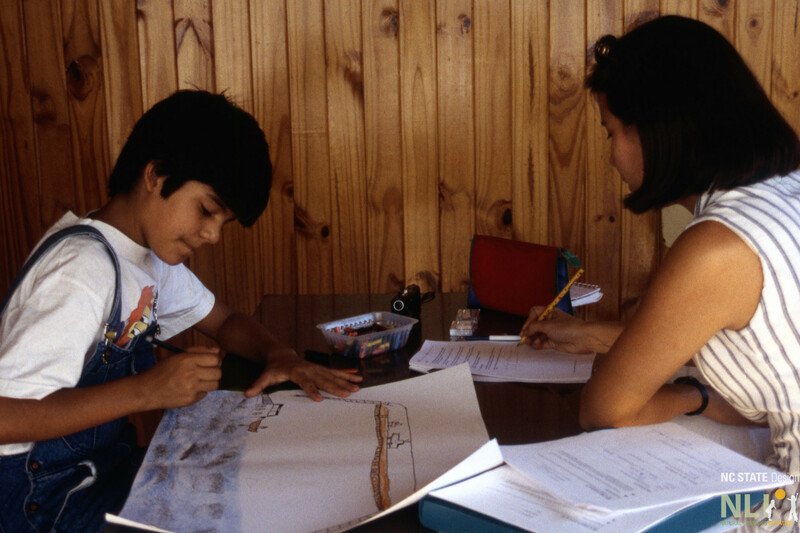 Children use the map to identify the locations of their homes and other important places in the neighborhood. They add notes about their concerns. Children “calibrate” the measure of their stride by pacing out the proposed site before measuring it in meters with a tape measure. They also measure the direction and speed of the wind, using the “wet finger” technique. 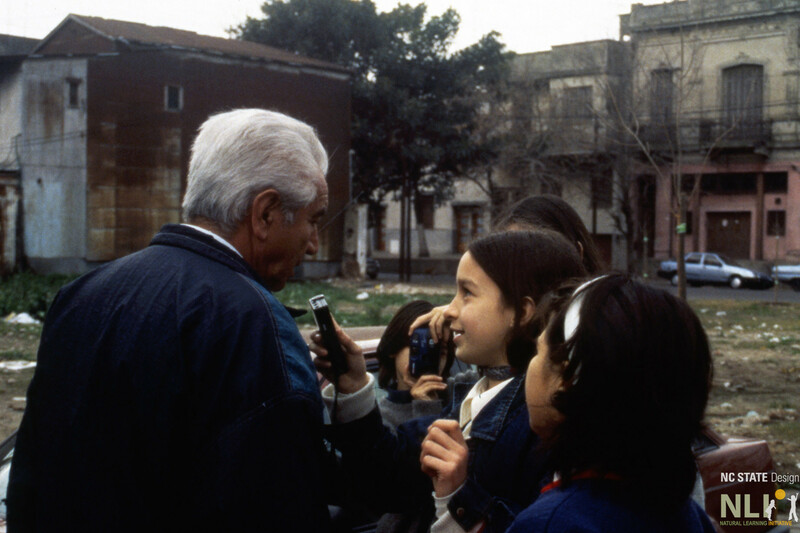 Children use tape recorders to gather the impressions and observations of the other neighborhood residents, including elders. 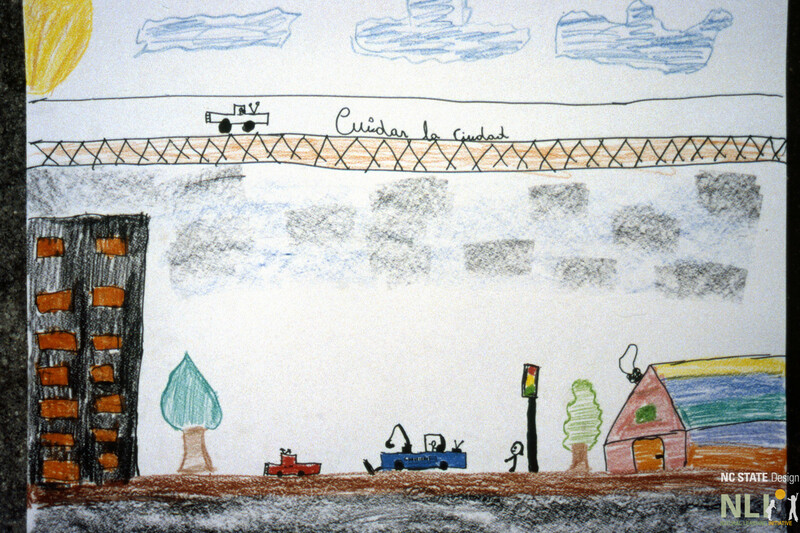 To demonstrate how the Convention on the Rights of the Child can be implemented in urban settings. 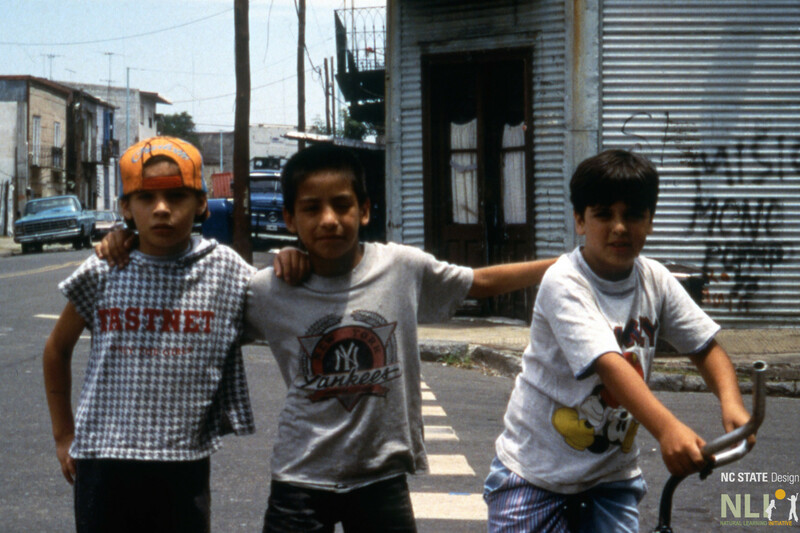 To show how children’s participation can influence urban policies to create a child-friendly city. 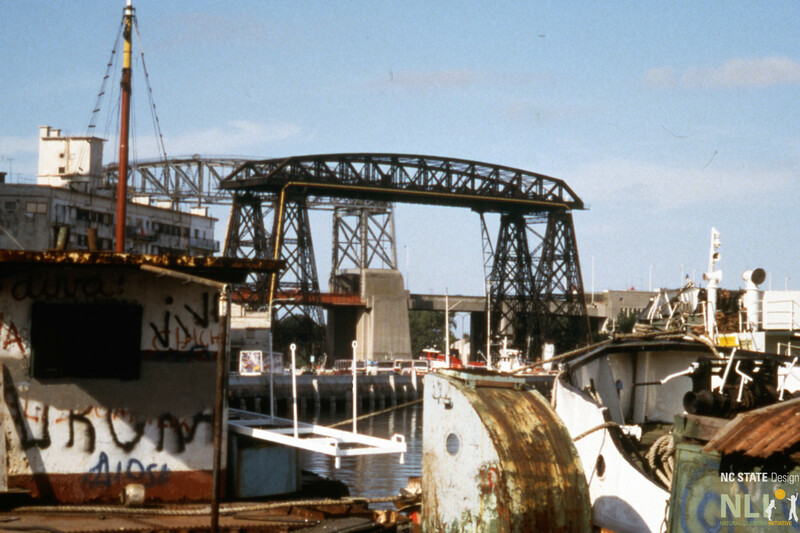 Understanding the neighborhood as a giant interpretation center, a learning resource. 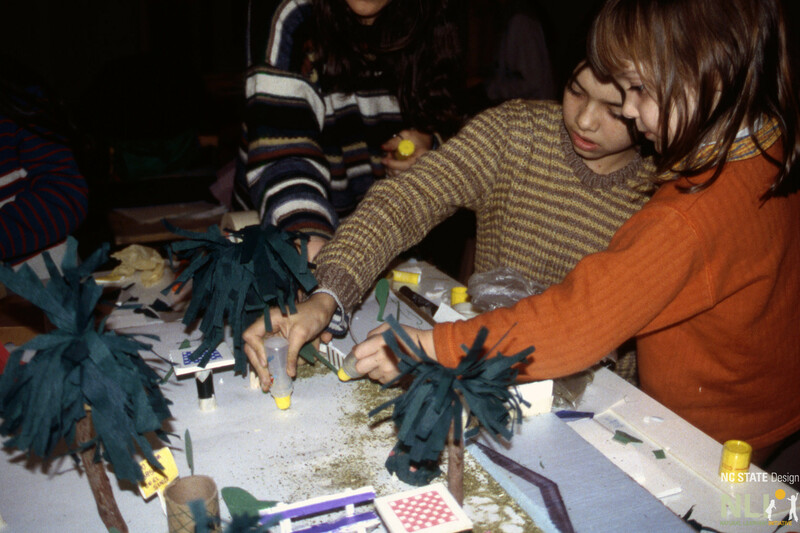 Organizing hands-on activities that encourage exploration and site analysis. Discovering with children what a habitat is what their own habitat feels like, brainstorming the changes that should be done in the neighborhood to improve their habitat. Looking for proposals and solutions from children. Photo Safari: Using inexpensive cameras, the children record neighborhood locations that are important to them. 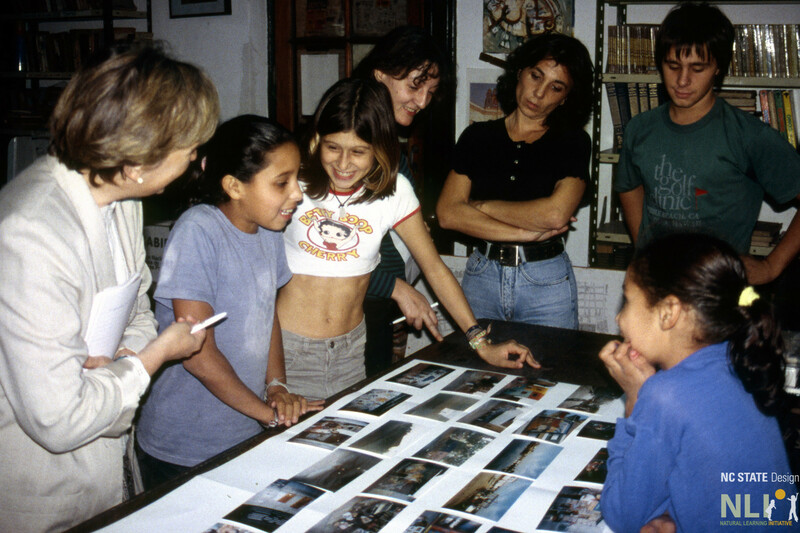 Photographs are reviewed by the group. Captions are proposed. 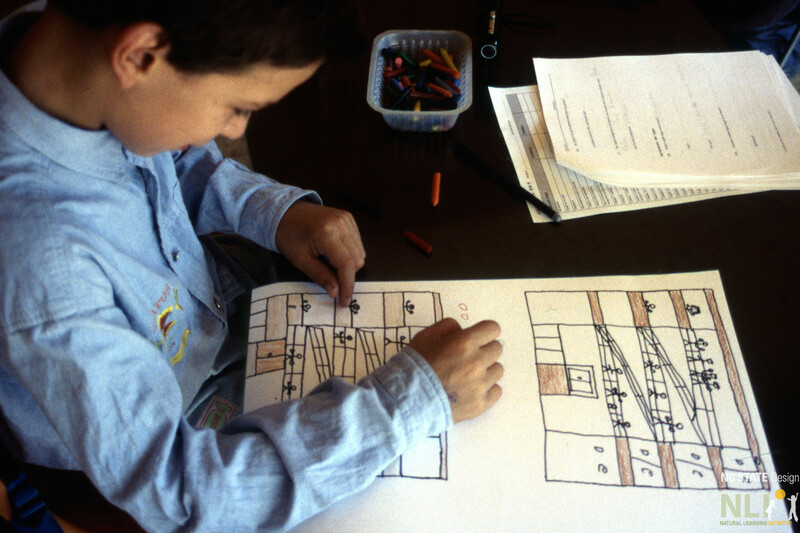 Surveying and Analyzing: Using observation sheets, the children document characteristics of proposed park sites. They create a sensory map of their neighborhood, making note of interesting smells, sounds and sights. Creating an Exhibition Catalog: The children create a catalog for a public exhibition of the photographs of their favorite places. 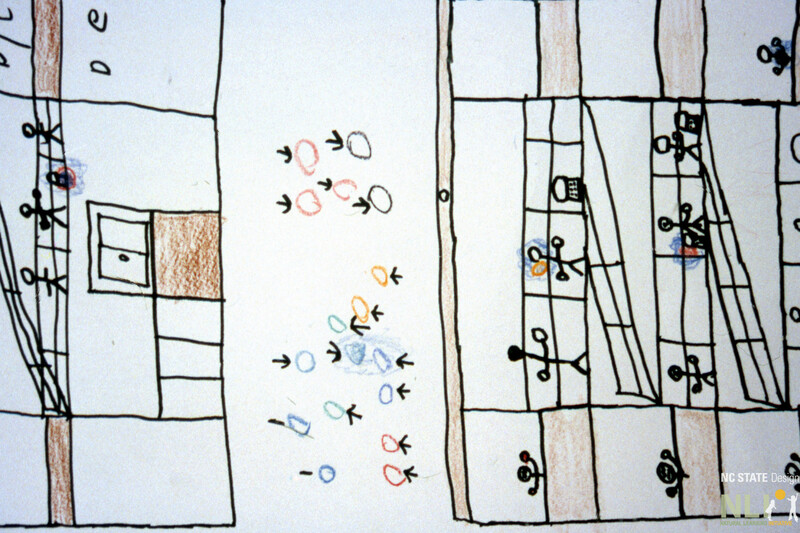 The pamphlet, “Our Neighborhood is Like That!”, includes a list of the young photographers and the titles of their works. Above, they explore a “clasping hands” logo for the catalog. Presenting: After analysis is complete, children build a model, make drawings, and present their findings to the community.